Video: Magnus MacFarlane-Barrow at TEDxYouth@GeorgeIVBridge. Video: The Story of Mary's Meals (USA Version). Magnus MacFarlane-Barrow, OBE, is founder and CEO of Mary’s Meals, a global hunger charity which in 2015, reached the milestone of providing a daily meal in a place of education for more than one million of the world’s poorest children. The daily meal attracts children to the classroom, where they can gain a basic education that provides an escape route from poverty. In 2010, Magnus was praised as a CNN hero for his role in founding and running Mary's Meals, and in April 2015, he was named one of Time magazine's 100 most influential people in the world. 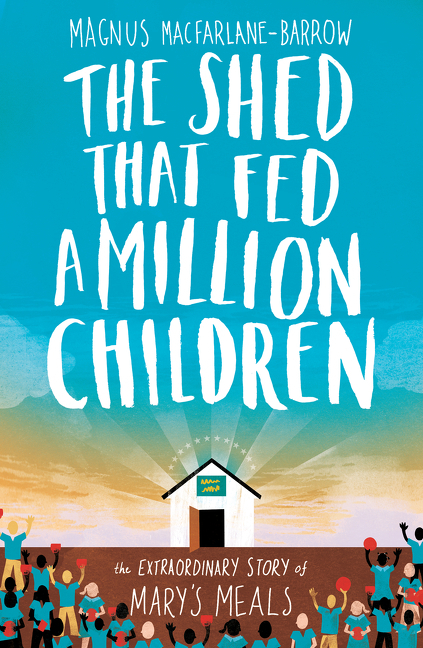 Magnus’ book, The Shed That Fed A Million Children, reached the UK’s prestigious Times and Sunday Times bestseller list immediately after its release. Magnus has also received honorary degrees from the University of Hull, Glasgow Caledonian University, the University of Stirling and the University of Edinburgh. Magnus has given many public talks to audiences large and small, including delivering the key note address at the World Food Prize in 2013. He has also spoken at youth festivals and Christian conferences and other speaker events geared at a variety of audiences including entrepreneurs, food industry experts and educators. In The Shed That Fed a Million Children: The Extraordinary Story of Mary’s Meals (Harper360) MacFarlane-Barrow retells how a series of miraculous circumstances and an overwhelming display of love from those around him led to the creation of Mary's Meals; an organization that could hold the key to eradicating child hunger altogether. Magnus started his career as a fish farmer in Argyll, Scotland. 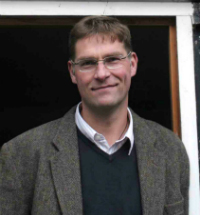 In 1992 during the Balkan conflict, he and his brother Fergus were so moved by scenes of the conflict on television that they took a week’s leave from their jobs, loaded a jeep with aid and joined a convoy travelling to Medjugorje, in Bosnia, to distribute it. On their return, donations continued to flood in resulting in Magnus eventually driving from Scotland to Bosnia a total of 23 times to deliver vital supplies. Magnus never returned to his old job andinstead set up a registered charity, named Scottish International Relief (SIR). Soon after, Magnus met Julie, a nurse, who volunteered to help him deliver emergency aid. Julie became committed to the charity, and its founder too. The couple married and now have seven children together. During a trip to Malawi in 2002, Magnus met with a family whose predicament was to spark a change in not only his own life, but in the lives of thousands of others. Lying on the floor of a hut was a mother named Emma, who was dying of AIDS. Her six children were gathered around her and Magnus asked the eldest son, Edward, what it was that he hoped for from life. “To have enough to eat and to go to school one day,” was his answer. Edward’s words inspired a mission to attract girls and boys to school by providing Mary’s Meals. One step at a time, through Mary’s Meals, Magnus has let children all over the world know they matter. From feeding just 200 children in southern Malawi in 2002, the charity now works with communities in 12 different countries around the world, proving a meal for 1,101,206 children every school day. Mary’s Meals is a simple idea that works. A daily meal in school has a positive impact on enrolment, attendance and performance in class, and could even hold the key to eradicating child hunger altogether. The global average cost of feeding a child for a whole school year with Mary’s Meals is just £12.20/€14.50/$19.50. Support for Mary’s Meals is global, with fundraising groups in Australia, Austria, Canada, Croatia, France, Germany, Ireland, Italy, the Netherlands, Portugal, Spain, UAE, UK and USA. -Gordon Brown, former Prime Minister and now appointed United Nations Special Envoy for Global Education.